Rumors started spreading on Twitter that Marshawn Lynch may be considering retirement. Like so many rumors on Twitter, digging a bit deeper shows there is far more smoke than fire. Lynch was reported as saying he would consider retirement after the Super Bowl if the Seahawks won. That is old news. The new “news” is that an unnamed source has said, “I could see him walking away.” Hardly a scoop. But since the topic has been broached, let’s explore the likelihood of this scenario is, and what impact it might have on the Seahawks. Lynch does things his way. Retiring at age 28 for any reason, whether it be money, health, or just disinterest, would hardly be shocking. This game is not kind to people who play it. Those who play it like Lynch are especially at risk of chronic and possibly debilitating health issues after they leave the game. He has made his money. He has won a ring. That might be enough for him. His contract runs through 2015. He is due $5M in base salary this year, and counts $7M against the cap. He is scheduled to make $5.5M next year and count $9M against the cap. Exiting the team this year would clear $4M of cap space. The team would gain $7.5M in cap room if they moved on from Lynch next year. If Lynch was anything but a core cog on this team and one helluva tough player, there would be zero question about the team moving on from him after this season. The odds are probably about 45% that the team would either pay him what he is owed next season or offer to restructure the deal and extend him another year. Christine Michael, Robert Turbin and Spencer Ware are hanging around burning prime running back years behind Lynch. That is fine if Lynch is producing like he has the past few years. If he dips down near 4.0 yards per carry and/or sees his carries reduced to 12-14 from the 18/game he saw last year, the team would be operating less efficiently on the field and in cap management by having Lynch around. There is little sense in paying a player to be a featured running back when they are not being featured or performing to that elite standard. You can be sure the team wants to see Lynch back this season. If Lynch misses the mandatory mini-camp, that becomes the first real sign that this retirement talk may have some legs. As much as the team would like to see him play this year, they won’t budge on his contract. Lynch does not seem like a guy you would want to bet against in a stare-down. Knowing the team won’t flinch, and Lynch won’t likely give in, the retirement thing could very easily go from rumor to reality. If he shows to the mandatory practices, this all becomes moot. As painful as it is to imagine the team without Lynch smashing opposing defenders, the Seahawks would not be doomed. Lots of national analysts would jump off the bandwagon. Vegas may even drop the Seahawks odds of repeating. It would turn a certain strength into a question mark. That said, I don’t see the risk that most do. Michael is a feature back waiting to happen. His durability could be an issue. He will not likely push the pile the way Lynch does when there is not a hole, but he will also break far more big runs. Where he lacks the otherworldly toughness that Lynch displays, he will make up for it in flash and dash. The offense would lose some of that identity that Lynch brings, but could end up more dangerous. Blasphemous, I know. Ware is one to watch if he can keep his nose clean. After trouble in college, he quietly got a DUI in his rookie year. He is the toughest runner outside of Lynch on the roster, and he could be part of a nice running back rotation. Keep in mind that Percy Harvin also spends some time in the backfield. The Seahawks have a quarterback that can run as well. 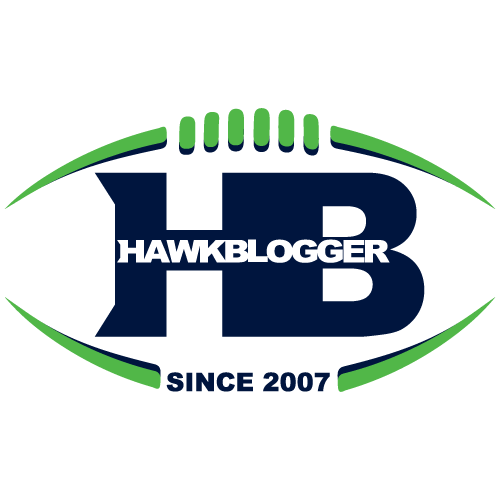 The combination of Michael, Turbin, Ware, Harvin and Wilson would be good, and possibly great. The other impact of a Lynch retirement could be more cap room to extend another key player or two. Guys like Cliff Avril and K.J. Wright come to mind. There is no reason to overreact one way or another at this point. There is a real chance could choose to step away from the game. The odds are probably greater that he reports and plays. No matter the direction he chooses, Seahawks fans should start to acclimate to the idea of life after Lynch.